Sign-up today to receive email updates on the latest news and resources from NACo. Counties are responsible for providing core services such as human services, criminal justice, public welfare and infrastructure to communities of all sizes across America. The conditions of a county economy can constrain and challenge county governments, residents and businesses, while also providing opportunities. To ensure the delivery of essential services, support job growth and maintain a healthy revenue base, counties invest in community and economic development activities in a number of ways. Counties most typically focus on workforce training, business attraction and retention, and regional marketing in their economic development partnerships. Collaboration is the key to successful county economic development initiatives. From October 2016 – July 2017, the National Association of Counties (NACo) and the National Association of Development Organizations Research Foundation (NADO RF) partnered with the Appalachian Regional Commission (ARC) to continue providing mentoring and technical assistance to eleven multi-disciplinary community teams from across Appalachia as they accelerated their efforts to diversify their traditionally coal-reliant economies. The “gig economy” is altering the way that people view and perform work, and counties must be ready to respond with innovative policies and programs. 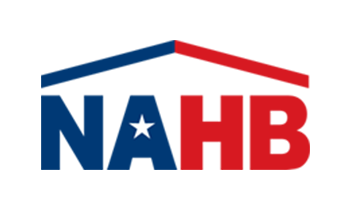 Responsible for all matters pertaining to housing, community and economic development, public works, and workforce development including the creation of affordable housing and housing options for different populations, residential, commercial, and industrial development, and building and housing codes. ​The Coal-Reliant Communities Innovation Challenge supports county and regional leaders in coal-reliant communities with retooling their economies to become more resilient to changing conditions. In Spring 2015, NACo worked with counties across the country to host County Prosperity Summits to generate creative solutions around local economic opportunities.